About 420 jobs in Food & Beverage sector. 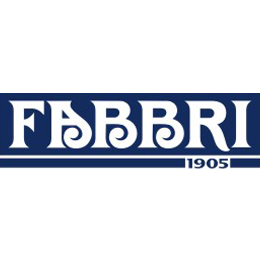 FABBRI ASIA PTE LTD Singapore; a branch of FABBRI1905 (Italy) one of the oldest existing companies producing semi-finished products for Gelato and Pastry applications as well as Syrups and Fruit Pulps for day and night beverage markets; is looking for a dynamic young professional who is passionate to work in the cafes, coffee chains, hotels and bars environments. Most of all someone who is willing to travel around South East Asia and Asia Pacific to create and develop drinks strategies and menus. Challenge yourself with this new role, help the company to grow its business in the regions mentioned above and grow together with us. The working environment is casual yet professional and we require earnestness, dedication, focus and a natural empathy towards the public. BACKGROUND: IDEALLY someone with some experience in the Cafés industry, as a Brand Ambassador or even better, a Drinks Strategy planner for F&B chains. To find, train and manage local Brand Ambassadors with our partners either in-house or off site. To provide distributors with training, classes and market visits between 3 or 4 times a year per country. To approach big chains with or without local partners. To run market studies while abroad in order to study the competition positioning in the market. Reporting to the Branch Manager and the Top Management. 2019 Areas/Markets of competence: ASEAN + Japan + Korea + Taiwan + HK. Taiwan (To identify a potential new partner for day market). If you believe you have what it takes to fulfill the challenges above, we would love to have a chat with you. Fluent English is compulsory while a second Asian language is welcome. does but you will also learn how to do run a business and definitely, it is useful in your future as a career with Management Skill Set.Availability start work immediately (Preferable)Responsibilities and Duties-Attend Customer Enquiries-Handle Cashier (Opening & Closing).-Make foods (Sushi & Dessert) accordingly by Recipe and Standard Operating Procedure (SOP)-Manage the store based on the company's guideline-Ensure the cleanliness of the store from Internal to External-Ad Hoc duties assigned from time to timeQualifications and Skills-Minimum "N" or "O" Level-Working Experience in Japanese Kitchen before (Preferable)-Basic Food & Beverage Hygiene Certificate Holder (Preferable)- No experience (Training will be Provided)Benefits-Performance Bonus (Monthly)-Medical Claims-Staff Meal, Depend on Outlet-Uniform Provided-Pay Increment after Probation (Depend on your performance)-Fair Career Progression- 6 Days work a week (Shift Schedule)- Overtime Pay (The more you worked, the more you will get)Part Timer- $8 ~ $10 per hour, Preferred who can commit work for long term.- Increment depend on your performanceWorking Location: Esplanade MallFor the candidate, please apply the job with your CV / Resume. Working hours:Mon to Fri, 8.30am to 6pmJob Responsibilities:Data-entryFilingGeneral accounting and administrative dutiesJob Requirements:Diploma in AccountingStrong in Principle of AccountsMeticulous and organizedOnly Singaporeans need apply.We regret that only shortlisted candidates will be contacted. take clear directionsProactive in sharing feedback Willing to share ideasThirst for learningPossess a good sense of humourOpen-mindedJoin our growing team of experienced and enthusiastic talentsCompetitive basic salaryIndividual sales performance incentivesTraining and career progressionMedical benefitsHealth insuranceStaff meals provided while on dutyUniform providedNight transportation homeStaff discountsAnnual LeaveBirthday LeaveLong Service Awards5-day work week: flexible hoursPart timers are welcomed__________________________________________________*Only Singaporeans need to applyInterested applicants are invited to email your detailed resume stating current and expected salary to us by clicking on "Apply Now" button below or send to :Human Resource DepartmentPrivé Group Pte Ltd20 Anson Road #05-01 Singapore 079912We regret to inform only shortlisted candidates will be notified. Prepare and serve food ingredients in daily operations. •	Maintain highest standards of quality in food preparation and presentation.•	Maintain highest standards of cleanliness and sanitation.•	Deliver legendary service to both internal and external customers.•	Basic cashiering and maintaining the full look of the Grab and Go area.•	Assist the team and superiors in meeting sales goals and profitability of the assigned outlet. •	All any other ad-hoc duties as assigned.